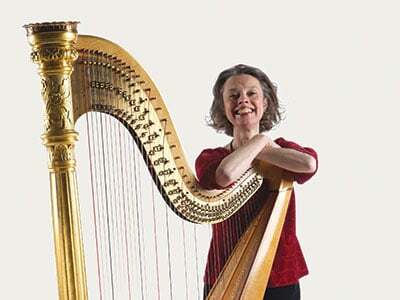 Ruth Faber studied the harp at the Royal College of Music with Marisa Robles. Since then she has worked regularly with the Royal Philharmonic, London Philharmonic, Philharmonia, London Symphony and BBC Symphony Orchestras, along with the English Chamber Orchestra and London Mozart Players. 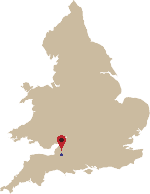 Regional orchestral work has included Bournemouth Symphony Orchestra, Bournemouth Sinfonietta, BBC National Orchestra of Wales, Welsh Opera and Birmingham Royal Ballet, a post she held before moving to the West Country. Ruth’s busy solo schedule has featured recitals all over the UK and abroad, notably concerts at the Purcell Room, Wigmore Hall and Queen Elizabeth Hall in London. She has played concerti with the English Chamber Orchestra and Bournemouth Sinfonietta. Performances for television have seen her appear for BBC 1 and BBC 2 and also on BBC Radio 3. She has played as a soloist for Her Majesty The Queen, The Queen Mother, Prince Philip and the Duchess of Gloucester. Teaching is an important part of Ruth’s life and she currently teaches at Wells Cathedral School, Bristol and Bath Spa Universities. Ruth also holds her own residential children’s harp courses each summer. On a lighter note, Ruth has travelled around the world playing for British Airways Promotions.